- 5 Players (1 goalie). - Lots of pucks in the corner. The drill starts with 0 in the corner passing to 1. 1 passes to 2 while 0 skates around the circle. 3 passes to the incoming 0. 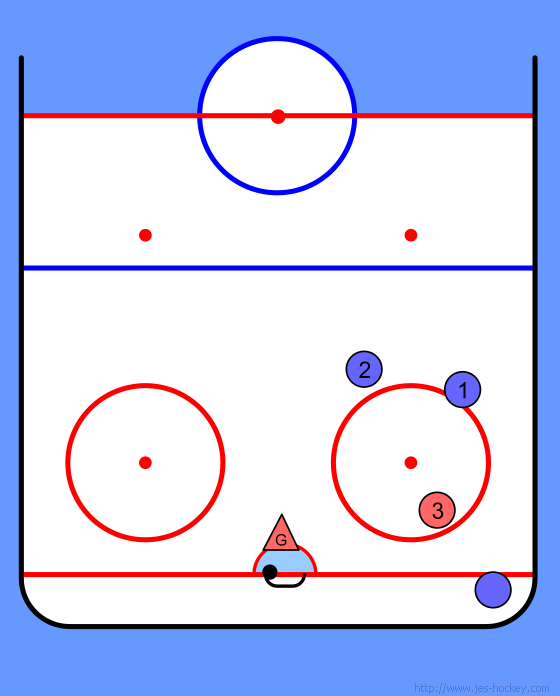 Depending on ice availability this drill can be run simultaneously in the other corners of the rink. 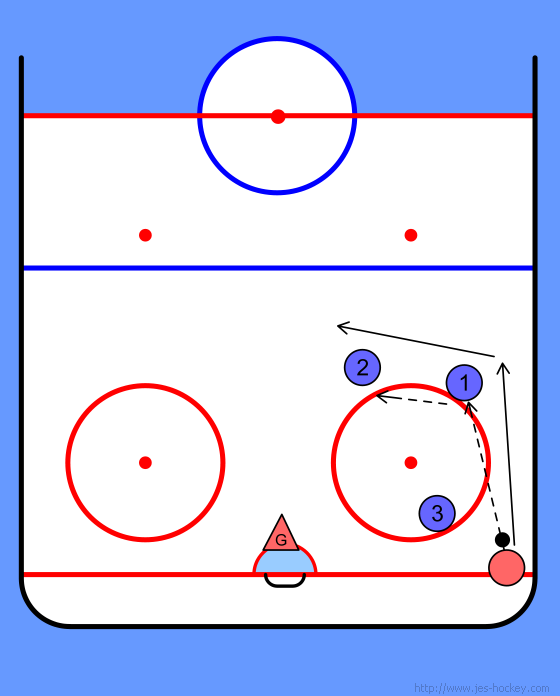 After 0's shot the players rotate and the drill starts again. - 1 goes to the corner. - 2 takes spot 1. - 3 takes spot 2. - 0 takes spot 3.